When word got out that Point Break was to undergo a remake, there was a face palm moment when you thought to yourself, why? Why would you meddle with something that was pretty terrific and damn near perfect as it was; a film that has aged extremely well considering it was made back in 1991. How could they hope to pull it off? The sad news is, they haven’t and the Point Break we’re subjected to in 2016 is a far cry from the exhilarating adrenaline rush of the original. It’s as if the filmmakers viewed the original (directed by Kathryn Bigelow) and made a list of all that was great about it; two can’t-and-won’t-take-your-eyes-off-them leads; one spiky and cool love interest; stunning photography and stunt work set to the baking hot California sun; some smartly executed detective work and genuine heart pumping frenetically shot action including THAT chase scene. So all these things went on the list and then it was scrunched into a tiny ball and kicked to the kerb. This version sees bigger stunts, more action, more realism and to its detriment more locations. Gone are the sun-kissed beaches and blue skies, replaced with craggy grey rock faces and endless trees, as the filmmakers firmly pin their sails to the world of extreme sports and little else. Much has changed too for the characters. 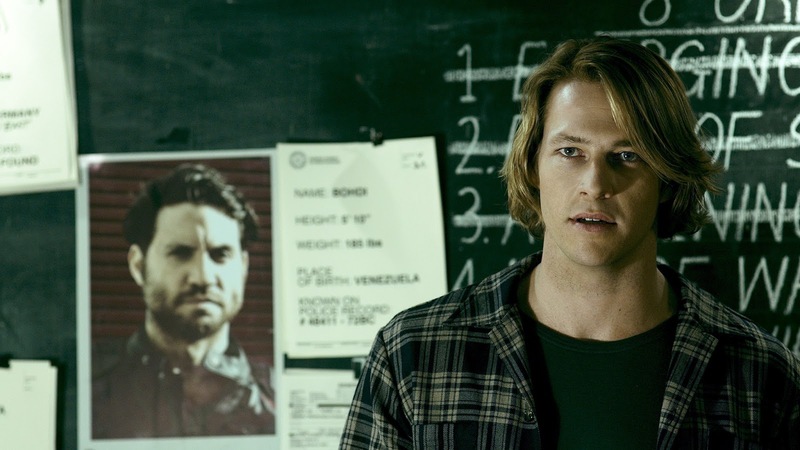 Johnny Utah (Luke Bracey) is a former extreme sports pro and YouTube star who has now joined the FBI, an adrenaline junkie who left it all behind when a colleague plunged to his death. After a spate of well, not robberies exactly, but some sort of eco-crimes carried out by daredevils, he is hot on the gang’s trail and infiltrates them in order to bring them down. The problem here is that there is no arc at all for his character. There is nowhere interesting for him to go. At least in the original Keanu Reeves’ Utah had to learn how to surf in order to get closer to Bodhi and his gang and zen as Patrick Swayze’s criminal mastermind was, he was intoxicating and exciting, with a twinkle in his eye. This time out, Bodhi is played by Edgar Ramirez and while he tries to channel that coolness, he’s let down by a shabby script, making him bland and dull. You wouldn’t follow him to the supermarket, let alone over a cliff. Opposite him, Bracey seems to have studied Reeves’s original performance, sounding like him and even giving us the seminal, oh no I can’t take the shot, I have to fire into the air in frustration scene which comes off more like the Hot Fuzz homage than the original. Not one bit is believable for a second. Teresa Palmer is given absolutely nothing to do but hang around and look pretty, which is fine in the right film and there are times when you feel like you’re watching a Fast & Furious movie and not one of the entertaining ones. Incidentally, the director here, Ericson Core served as cinematographer on the first Furious movie. So what of the stunts? As standalone pieces they are fine but they don’t truly serve to advance the story. Some involves robberies, some don’t. 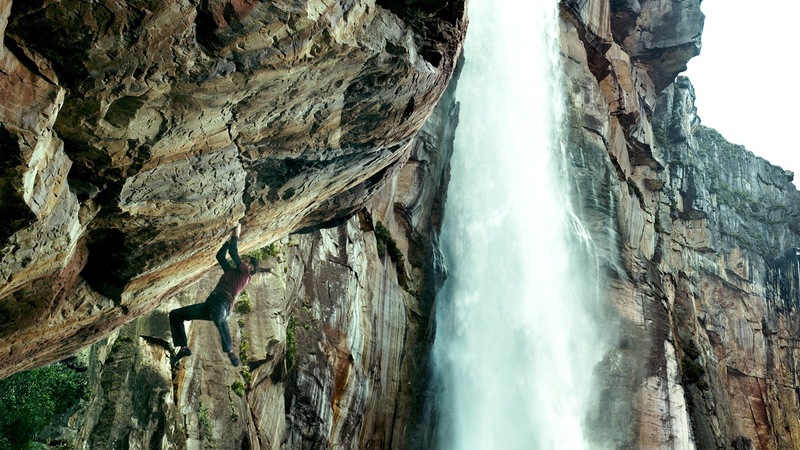 The only jaw-dropping moment comes in a huge waterfall rock climb that does take your breath away but again the stakes are not what they should be, changing them as they have. A cameo from James Le Gros (who played Roach in the original) is reminder enough that they should have left well enough alone. I remember fondly watching Point Break in the cinema in ’91 and literally wanting to surf all the way home, such was its adrenaline fuelled ride. Did I want to jump off a mountain after this one? Yes, but for the wrong reasons. A note to Hollywood. 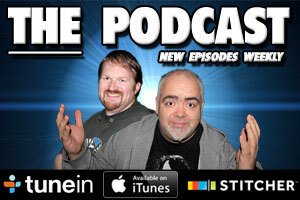 If you’re going to dabble with recent classics, do it well and pay attention to what made them great.